Se trata de L’Intervalle, una tienda online con cientos de zapatos muy chulos. Como éstos que llevo hoy. 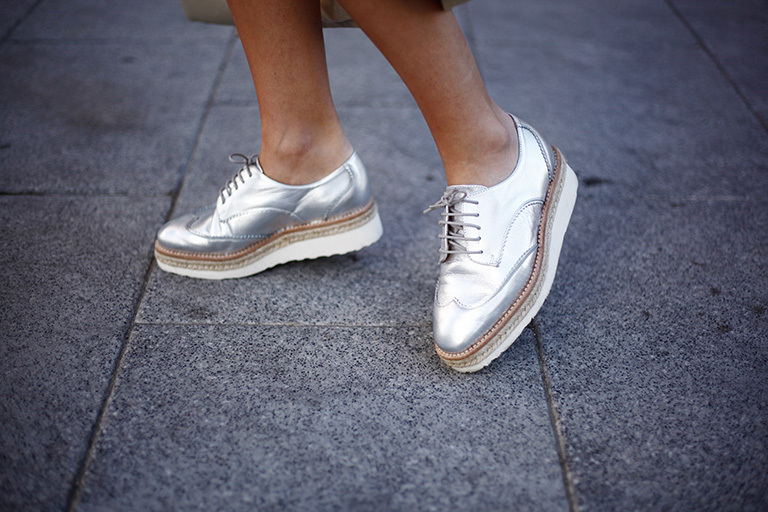 Me suelen gustar los zapatos diferentes, con personalidad para mis looks. Otro requisito indispensable es que sean cómodos y de buena calidad. Antes me dejaba llevar sólo por un diseño espectacular, pero he aprendido que de nada sirve un zapato increíble si al final te hacen daño. Estas bluchers planteadas me encantaron. Son cómodas, elegantes y versátiles. Las combiné con una falda vaquera y una camisa de rayas. 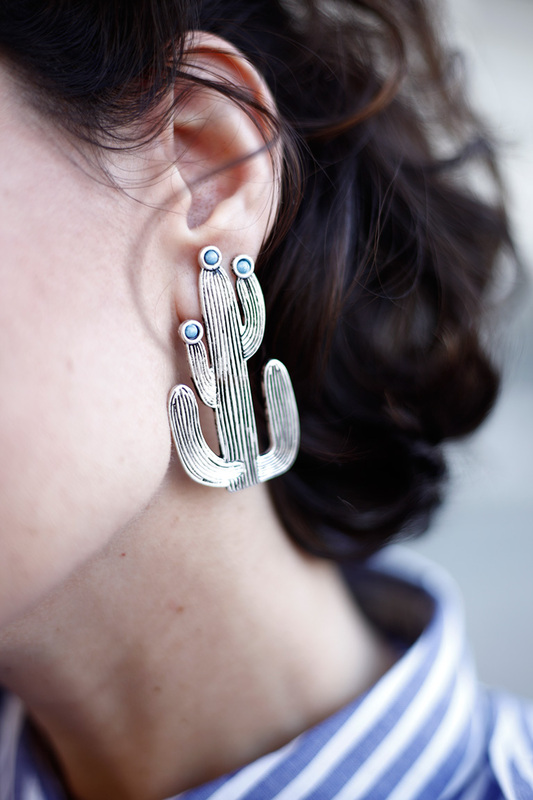 Otro detalle del look de hoy son mis pendientes cactus, ¿no son totales? ;) Os animo a visitar la web del L’Intervalle y echar un vistazo a sus zapatos!! Besos! Good morning, friends! I really wanted to show you these photos for many reasons. One of them is that it’ the first session we have done with a new objective, which blurs the background. I also wanted to tell you a new shoes brand that I discovered recently and that I love. You know that I have a “problem” with the shoes, I’m a real shoeaddict;) This is L’Intervalle, an online store with hundreds of cool shoes. Like the ones I wear today. I like shoes with personality. Another indispensable requirement is that they are comfortable and of good quality. These raised bluchers loved it. They are comfortable, elegant and versatile. 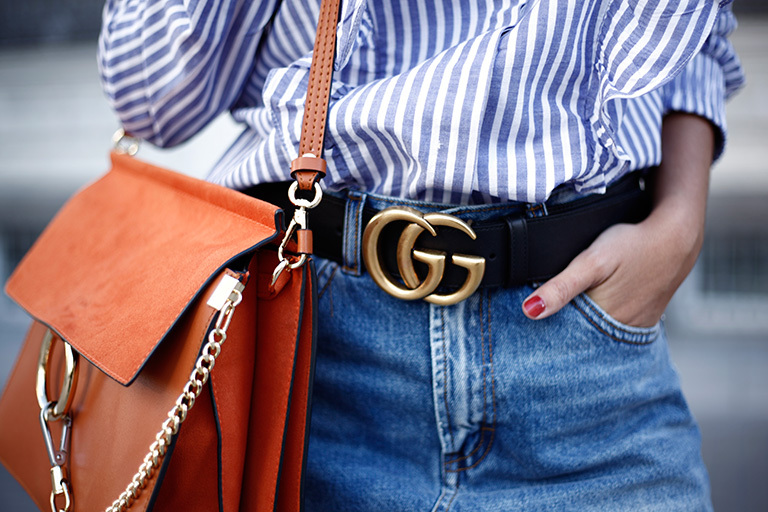 I combined them with a denim skirt and a striped shirt. Another detail of today’s look are my cactus earrings, I love them!!? ;) I encourage you to visit the website of L’Intervalle and take a look at their shoes !! Kisses! Blouse: Bershka (old), Similar HERE. Skirt: Zara (old). Similar HERE.